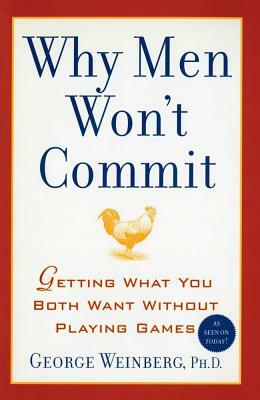 A provocative book that explains why men are so afraid of commitment -- and what women can do about it. Why is it so hard for a man to say "I love you"? Why is it so hard for a man to ask a woman to marry him, even if this is exactly what he wants? Women work hard at relationships but all too often, just when things seem to be going well, men tend to pull away, cheating themselves out of the happiness they really want...and leaving women feeling hurt and confused. It doesn't have to be that way.  The need to be special.  The need to travel light -- to minimize obligations and maximize independence.  The need for loyalty.  The need to be close emotionally, whether or not they can ask for it. Once women understand these needs, they can help men see that commitment is a strength, and not a weakness. Why Men Won't Commit will show women how to enter places where her man has not allowed any other woman to go...and stay there in a loving, committed relationship.